Rain is the enemy of any pool owner who wants to get maximum value out of his or her investment. So why would you want to build a swimming pool in the state of Washington, which is known for being one of the wettest states in the country? Well, for one thing, the state’s climate is more diverse than many outsiders probably realize, with much drier weather in the eastern part of the state. But more importantly, many Washingtonians find a way to squeeze extra swimming days out of their inground pool even when the weather isn’t cooperative. While the weather varies a lot depending on which part of the state you’re in, the number of swimming days per year is invariably limited in Washington State. In addition to the relatively short summers and high number of rainy days, there’s a genuine scarcity of sunshine in many parts of the state. Cloud cover doesn’t just mess with your sunbathing plans, but also makes it harder to keep the pool warm enough to swim in. 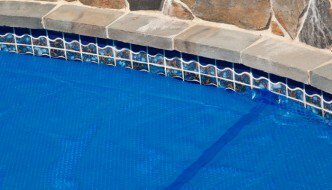 On the bright side (no pun intended), you can mitigate some of these less-than-ideal conditions with the right pool design and equipment. An electric pool heater might be an “extra” in many places, but in Washington State, it’s a must. Another way to get the most use out of your pool is to install a roof over it, or even a full enclosure that shields you from both rain and chill. In fact, if you have the budget, you may even want to consider installing your pool indoors. While costly, that’s one sure-fire way to make sure Mother Nature doesn’t stop you from getting your swim on. The cost of construction labor is comparatively high in Washington, so you’ll generally pay more than the national average for pool installation. That said, there are many factors that go into the cost of a swimming pool. The best way to get an accurate picture of what you will have to pay is to get free estimates from a couple of pool builders in your area. To get a pool permit, you’ll need to deal with your local city or county government. The exact requirements can vary in complexity from place to place, but an experienced pool builder should know all the in’s and out’s and be able to guide you through the process. The State of Washington sets certain minimum safety standards for residential swimming pools (for example, you must have a pool fence that’s at least four feet high). However, it’s important to note that your city or county may have additional requirements, especially if you live in a more heavily populated area where accidents are more likely to happen. You aren’t in compliance unless you’re following the more detailed set of safety laws laid down by your local government. Again, professional pool builders are great at helping you navigate what might otherwise be an intimidating process.